In a world plagued by corrupt corporations and sinister forces that prowl the global landscape, Jack Madson needs to escape his own demons. Trapped in a hate-filled marriage, a job he despises, and a mountain of debt, he’s crafted a plan. He’ll fake his own death – simultaneously winning a large insurance payout for his family and paving the way for his getaway to Mexico. There, he’ll create a new life with the money he has been amassing from illegally selling intellectual property to criminal interests in China. But Madson’s plan goes dangerously wrong in this new thriller. The $2.5 million that he socks away in a secret Mexican bank account becomes Madson’s escape route from all that has come to symbolize his miserable life. But when he finally arrives south-of-the-border, he learns that he’s been double-crossed by his partner in crime – and his bank account is empty. Madson has no choice but to return to the States and make a last ditch effort to double his ill-begotten payoff. The hitch? He must break into the computer system at NuGen to retrieve highly valuable bio-tech secrets. As bodies pile up, Madson struggles to stay one step ahead of the laser-focused insurance claims investigator who is determined to prove that his “accidental death” is anything but. Psychiatrist Nadine Lavoie’s passion is to help people put their demons to rest, but she has demons of her own. Her mother was a wildly unpredictable manic depressive, her father an alcoholic, and there are whole chunks of her life that are black holes. When Nadine is assigned a new patient who has recently attempted suicide, she quickly learns of some troubling parallels to her own life. Digging deeper, Nadine is forced to confront her own history and the damage that began when she and her brother were brought by their mother to a commune on Vancouver Island. What happened to Nadine? Why was their family destroyed? And why does the name Aaron Quinn bring feelings of terror to Nadine – even today? Buried secrets, lost family memories, and murder collide in Chevy Stevens’s latest spellbinding novel of psychological suspense. A young girl goes missing after getting into a car with a mysterious man. 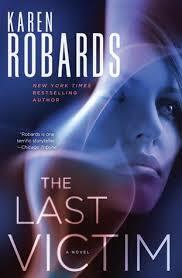 Soon after, a second girl disappears, and her devastated father, Witness, sets out to seek revenge. As the trail grows cold, Samantha – a new detective (and the only woman) with the Botswana police force – is reminded of a childhood friend who had gone missing, and she devotes herself to keeping the first case open. She suspects that the girl was killed for muti, the traditional African medicine usually derived from plants and sometimes animals. But recent evidence shows that human parts are being incorporated into certain potions to conjure up a supposedly more potent formula. Detective Kubu joins forces with Samantha to take the investigation to the next level. Meanwhile, Witness is convinced that his daughter, too, was murdered for muti – for a potion to ensure an election victory for opposition leader Marumo. On the night of Marumo’s win, Witness waits outside the politician’s home and murders him before fleeing town. 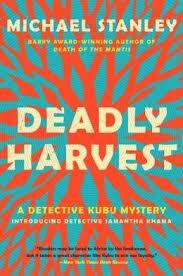 Now Kubu and Samantha have yet another murder investigation on their hands, and the search of Marumo’s home yields a sample of muti that confirms their worst fears: the formula includes traces of human DNA and remains. Kubu and Samantha are thrust into a harrowing race to stop a serial killer or killers – and those who would pay for their special, lethal muti. When twenty-something political fund-raiser Olivia Greenley gets tapped to work on the presidential campaign of Georgia governor Landon Taylor, it’s her dream job. Her best friend in the world is the campaign manager, and Taylor is a decent, charismatic idealist, with a real chance to be a great leader. Sacrificing her sleep, comfort, friends, family, and income for a year to make the world a better place is the right call, but what happens when both Campaign Lesson #2, No Kissing the Boss, and Lesson #2, Loyalty Above All, go down in flames before the first primary? Bridget Siegel, veteran of the John Edwards and Obama campaigns, vividly captures the idealism and chaos, as well as the emotional heat and corruption, of the candidate’s bubble. 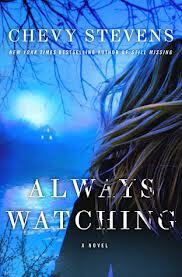 What becomes of Olivia’s best friends when she must keep from them the biggest secret of her life? Is the candidate a true romantic or a political hypocrite? How far can she go to justify her happiness? 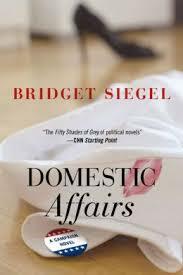 Told with savvy, humor, and delicious inside-the-Beltway detail, Domestic Affairs is a page-turning tale of love on the campaign trail – and it’s consequences – from a consummate Beltway insider. A sought-after expert in criminal pathology, Dr. Charlotte Stone regularly sits face-to-face with madmen. 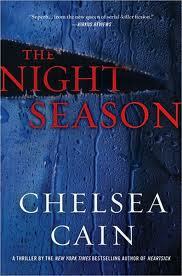 At the age of sixteen, she herself survived a serial killer’s bloodbath. Because of the information she gave police, the Boardwalk Killer went underground, but Charlie kept her postmortem visions of the victims to herself. Years later, to protect her credibility as a psychological expert, she tells no one about these apparitions. Now a teenage girl is missing, her family slaughtered. The Boardwalk Killer – or a sick copycat with his M.O. – is back. This is the one case Charlie knows she shouldn’t go near. But she also knows that she may be the one person in the world who can stop this vicious killer, especially when she receives help from an unexpected source: the fiery spirit of a seductive bad boy who refuses to be ignored. Former Justice Department operative Cotton Malone has received an anonymous note carrying an unfamiliar Web address. Logging on, he’s shocked to see Cassiopeia Vitt, a woman who’s saved his life more than once, being tortured at the hands of a mysterious man who has a single demand: Bring me the artifact she’s asked you to keep safe. The only problem is, Malone doesn’t have a clue what the man is talking about, since Cassiopeia has left nothing with him. 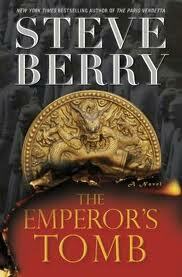 So begins Malone’s most harrowing adventure to date—one that offers up astounding historical revelations, pits him against a ruthless ancient brotherhood, and sends him from Denmark to Belgium to Vietnam then on to one of the greatest archaeological sites in the world: the tomb of China’s First Emperor, guarded by an underground army of terra-cotta warriors, which has inexplicably remained sealed for more than two thousand years—its mysteries about to be revealed. He captured the Beauty Killer, one of the most deranged serial killers in the country. Now, Portland police detective Archie Sheridan faces a different kind of killer—a brutal rain season that has flooded the Willamette River, claiming several lives. As water levels rise, so does the fear. Because some of the victims didn’t drown—they were murdered. In a city where someone is murdered almost every day, attorney Michael Abramowitz’s death should be just another statistic. But the slain lawyer’s notoriety—and his taste for illicit midday trysts—make the case front-page news in every local paper except the Star, which crashed and burned before Abramowitz did. A former Star reporter who knows every inch of this town—from historic Fort McHenry to the crumbling projects of Cherry Hill—now unemployed journalist Tess Monaghan also knows the guy the cops like for the killing: cuckolded fiancé Darryl “Rock” Paxton. The time is ripe for a career move, so when rowing buddy Rock wants to hire her to do some unorthodox snooping to help clear his name, Tess agrees. 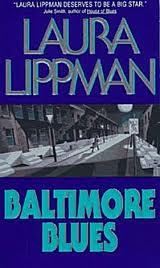 But there are lethal secrets hiding in the Charm City shadows. And Tess’ own name could end up on that ever-expanding list of Baltimore dead. In nineteen minutes, you can mow the front lawn, color your hair, watch a third of a hockey game. In nineteen minutes, you can bake scones or get a tooth filled by a dentist; you can fold laundry for a family of five…. In nineteen minutes, you can stop the world, or you can just jump off it. In nineteen minutes, you can get revenge. 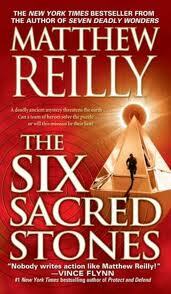 After their thrilling exploits in Matthew Reilly’s rampaging New York Times bestseller, 7 Deadly Wonders, supersoldier Jack West Jr. and his loyal team of adventurers are back, and now they face an all-but-impossible challenge. If Jack and his team can find and rebuild a legendary ancient device known only as the “Machine,” they might be able to ward off the coming armageddon. The only clues to locating this Machine, however, are held within the fabled Six Sacred Stones, long lost in the fog of history. And so the hunt begins for the Six Sacred Stones and the all-important knowledge they possess, but in the course of this wild adventure Jack and his team will discover that they are not the only ones seeking the Stones and that there might just be other players out there who don’t want to see the world saved at all. WOW…lots on variety in books this week – enjoy the new ones.